An artist needs a canvas upon which to work. For a fine writing instrument, the body of the pen is the largest part of the canvas. There are a number of materials that can be used to make handmade pens. Here are the materials that are used most often. Traditionally, the most common material to make a fine writing instrument has been wood. Whether it is figured burl, straight grained, carved, contains inlays or laser etched, wood is a very versitale medium. You can see more about the types of wood we use here, and learn more about how a pen is made here. So, what is TruStone? It is a man-made, pliable mixture of actual stone and resins. TruStone is made by RT Research, a company that specializes in making semi-precious stone products. Although the exact process is secret, stone is crushed into a powder and mixed with resins which then make it possible to turn the material on a lathe. The results are stunning. The look of real stone, and the ability to maintain a high-polished, glass-like finish. Acrylic is a tough form of plastic that can be made into a variety of shapes and styles. It is available in an almost endless number of colors, patterns and textures. 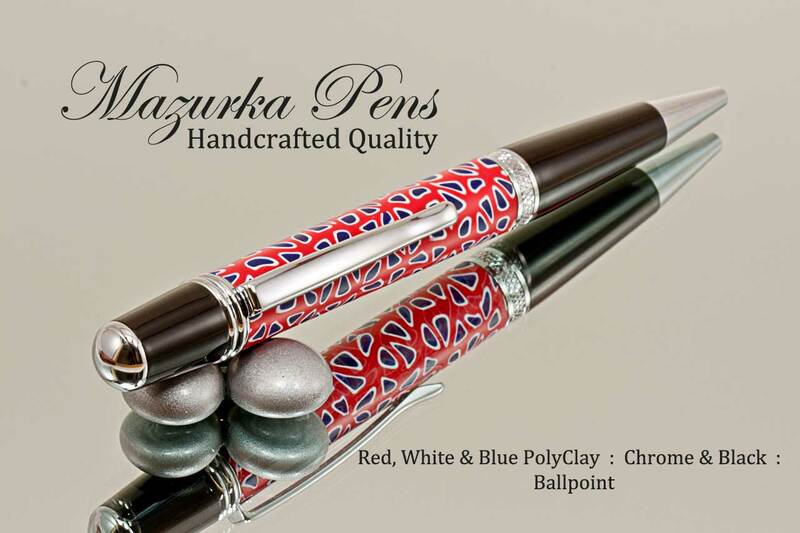 No two pens are ever alike, as the acrylic is molded and the colors and patterns are mixed throughout. This material is truely a unique work of art. Polymer clay is a man-made form of clay that is cured after shaping to form a tough polymer form. This is then cast and turned on the lathe into the shape of the pen. 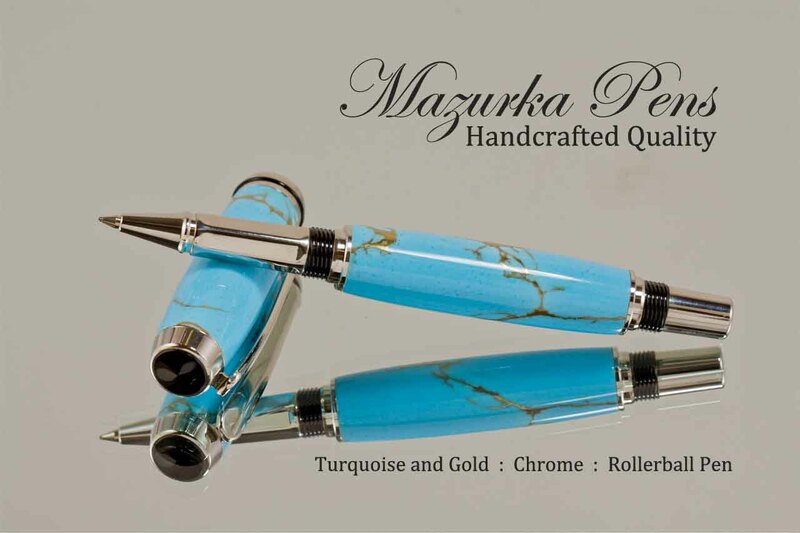 Each pen body is handmade from the clay in unique and vibrant colors. Truely a work of art. Nothing is more unique than a hand-painted pen. 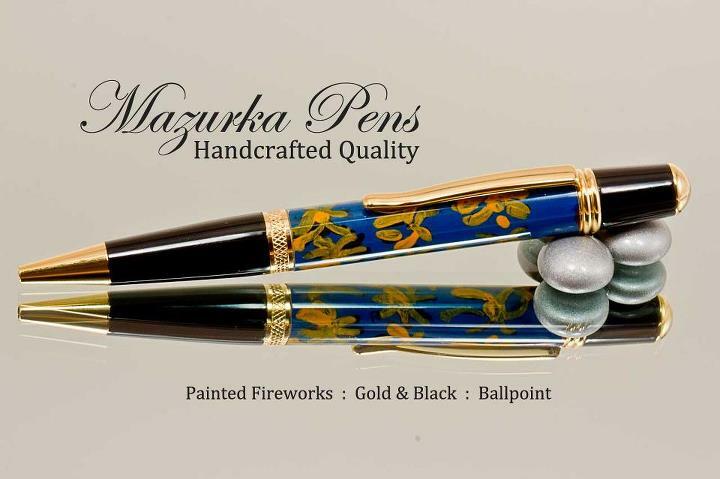 These pens are made by hand-painting a unique work of art onto the center of the pen. This core is then cast into a clear resin which is then turned into the final pen shape. Each one is very unique! No matter which type of material you choose for your handmade pen, select one that uses quality materials and workmanship. 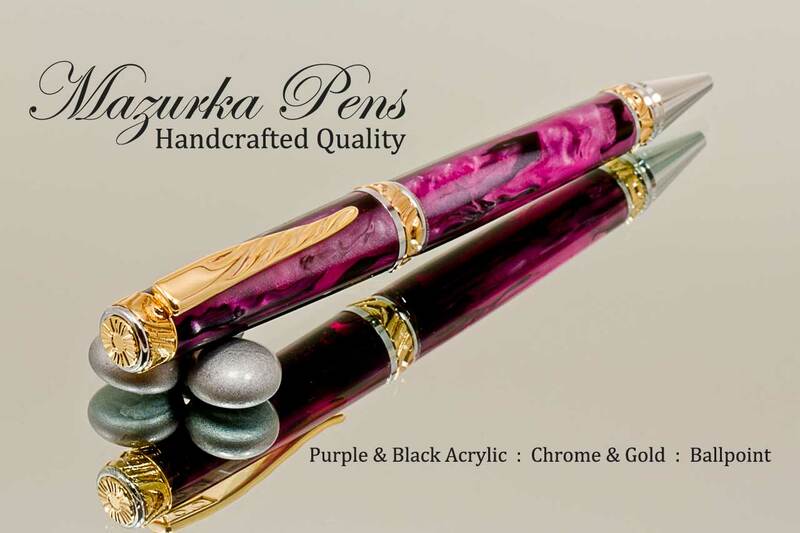 You won't be disappointed with a high-quality handmade pen.